London really is a mecca for the art lover, with plenty of galleries showcasing the best work from master artists of the past as well as up and coming painters, sculpture artists and many other genres of artwork. It’s all here to peruse and enjoy during your visit to London. You don’t have to go far from your accommodation at The Devonshire London to find great art galleries either; here are our top three art galleries right on your doorstep. The Démodé Art Gallery really is a hidden gem featuring an eclectic mix of contemporary paintings and sculptures. The shabby chic interior lends itself well to the premium artwork it displays and is a far cry from the bright white, clinical walls you’d perhaps find at some of London’s larger galleries. The building itself is well worth a visit, so head down to the Démodé Art Gallery after 10:30 am to experience this eccentric space for yourself. The Lisson Gallery sits in an excellent location for anyone staying in one of our hotels near London Paddington and occupies a corner where Paddington meets Marylebone, making it easy to reach on foot. With a second space in New York, the Lisson galleries play host to some of the world’s most influential contemporary artists, so there’s always something new to see. Opening from 10 am to 6 pm daily, the Lisson has two large exhibition spaces with some of the most exciting and thought-provoking pieces in London. For a contemporary art gallery with a difference, head to Kensington gardens which is a lovely stroll through well-maintained parklands from The Devonshire London. Here, you’ll find a restored munitions factory that now serves as the home for unusual artwork in a great architectural setting. Opened in 2013, the building itself is a work of art thanks to its 1803 main building and far more recent extension that houses a modern event and meeting space. Expect to spend at least two hours browsing the wonderful exhibits and collections of the Serpentine Sackler Gallery before grabbing a coffee and slice of cake at the popular café that adjoins the building. Located north of several of our hotels near London Paddington lives The Showroom, a not-for-profit art gallery where you’ll find exhibitions from the best emerging artists from around the UK and further afield. Some of the exhibitions at The Showroom present a range of socially and politically engaged work from artists looking to break into the thriving London art scene. If you’re lucky enough, you might even catch a few live poetry readings while you enjoy the exhibits. London has so much to offer the art enthusiast or budding artist, and there really isn’t a corner of this wonderful city where you won’t encounter something to pique your interest. 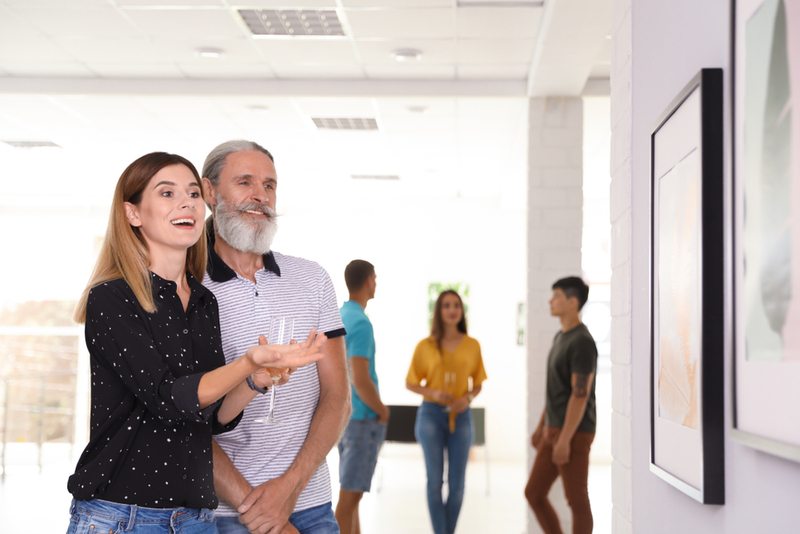 Head off the beaten tourist track and uncover some of the up and coming new talents just waiting to discover at these fantastic art galleries.